Custody laws vary from state the state and Mississippi law is no exception. Divorce and family law issues are complicated and every case is different. 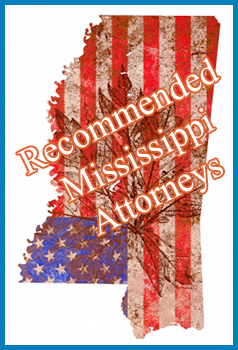 It is for this reason, we recommend you find not only a lawyer in your state, but experienced Mississippi father lawyers in your county and city from which you case resides. For example: According to DumbLaws.com, if one is a parent to two illegitimate children, that person will go to jail for at least one month. One may be fined up to $100 for using “profane language” in public places. Private citizens may personally arrest any person that disturbs a church service. However a lawyer who knows the law, will be able to determine fact from fiction and more importantly represent you in a more serious matter, such as custody and access of your kids.